Fourth-year runner Galen Caldwell pushing himself to the limit during a race last year. 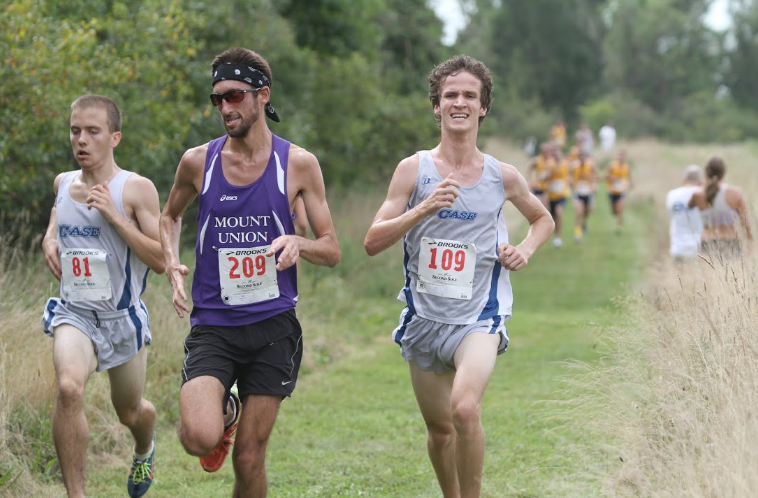 Coming off top 10 finishes in the NCAA Division III Great Lakes Region, the women’s and men’s cross country teams have high expectations entering this season. Last season both teams were loaded with fourth-year students at the top. Head Coach Kathy Lanese will need strong improvement from the younger runners to carry on the excellence from last season. During the 2015 run, the women capped off one of their best seasons of the last decade with a fourth place finish at regionals. However losing a 22 minute 6K runner in Kelsey Aamoth and other top runners will make it very difficult to improve during this upcoming season. The team will lean on third-year student and captain Danielle Kulpins to continue her improvement into her third season. 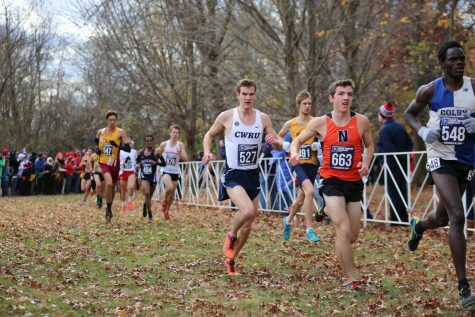 As the only third-year student in the top seven group, Kulpins displayed a great deal of potential with a 22:09 finish at the Oberlin College Inter-Regional Rumble and a 23:37 at regionals. The loss of numerous elite runners thrusts second-year student Isa Torres-Padin into a larger role. After breaking 23 minutes in the 6K during an impressive first-year, Torres-Padin looks to be one of the top runners on the team for the 2016 season. On the men’s side of the team, four of the seven regional performers were lost. While not as extensive as the loss on the women’s side, the men’s team lost a great deal of leadership and steadiness. Lanese’s top male runner Sam Merriman is still just in his third season. 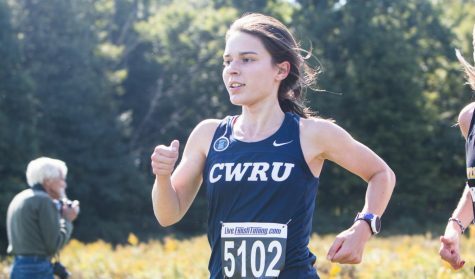 Following a ninth place regional finish and a nationals debut, Merriman looks to be a top Division III runner this season. 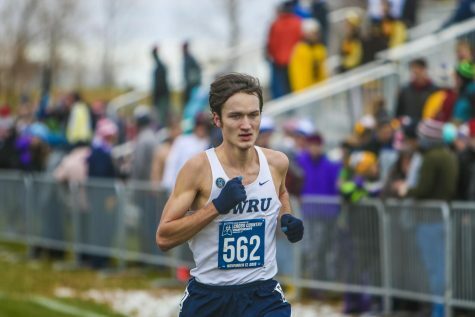 Merriman broke 25 minutes in the 8K last season and finished 167th at the NCAA Cross Country Championships. Despite missing several top runners from last season, the Spartans still have plenty of young talent to build off of. Both teams kick off their season on Sept. 2 at home as they take on John Carroll University at Squire Valleevue Farm.